Rotovates the soil to 12cm depth, buries stones and debris whilst also levelling the grounds for a smooth new seed bed. The heavier stones and other debris is placed underneath the lighter tilled soil which then lays on the top. 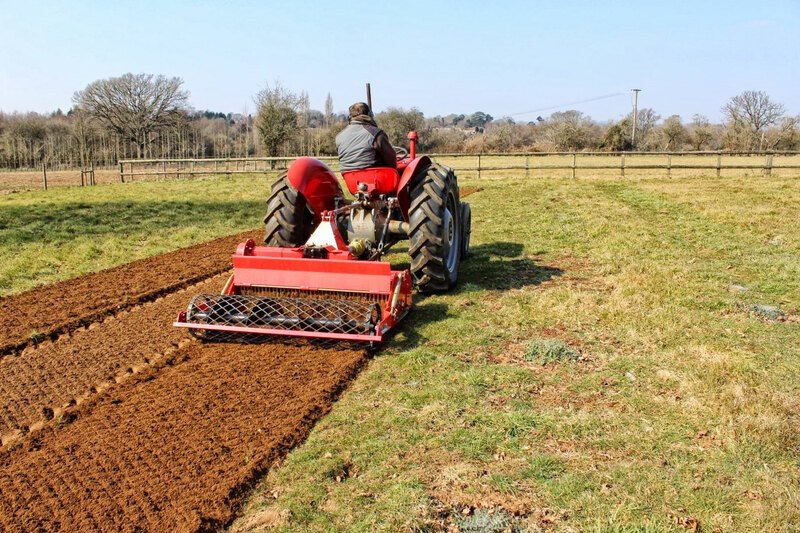 The roller section runs over and levels the tilled soil, leaving the area ready for grass seeding.